Recently, 20 bloggers were invited to a High Tea session with Ms.Rosy. Luckily, I am one of them! Thanks TheButterflyProject and L'Oreal Paris Malaysia for the exclusive invitation. A lovable, friendly and confident young lady who loves make-up and fashion as well as things pink and cutesy! Just like all the girls do! In depth, she has a secret on how she achieves her beautiful skin of rosy fairness because she believes in the importance of taking care of her skin so that it glows naturally with a rosy glow. At the same time, Ms Rosy is well-connected via social platforms, keeping herself up-to-date with her friends and families, sharing her favorite things in life as well as beauty tips and health. Obviously, she can't live without her smart phone LOL. Besides, like other girls do, she pamper herself well with good things in life like fashion and beauty. 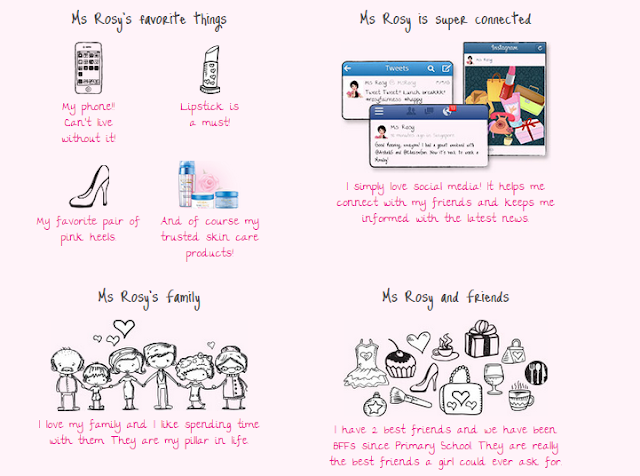 In case you wanna get to know Ms Rosy more, do check her out on Facebook and Twitter ! Lets discover Ms Rosy' secret of rosyfairness together! 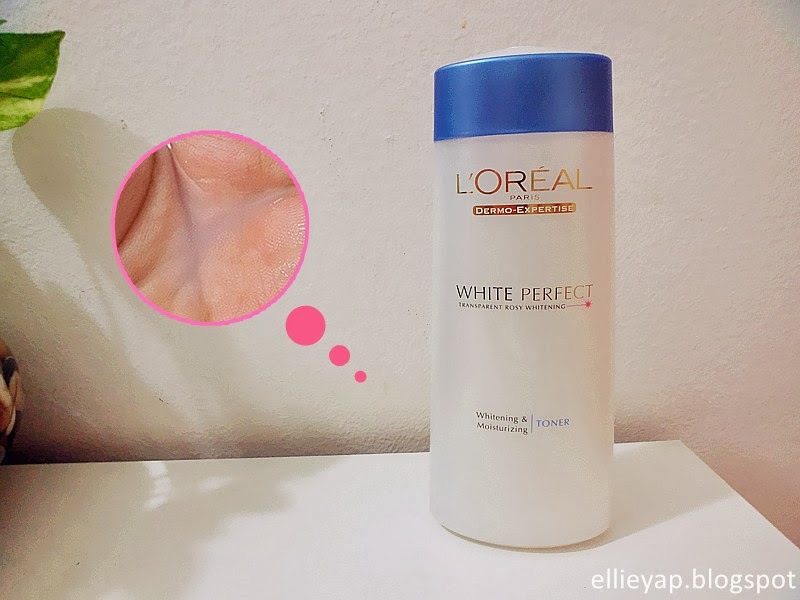 Revealing the products of L'Oreal Paris White Perfect Transparent Rosy Whitening, a complete range of whitening skincare which are not only revealing a beautiful fairness but a hint of rosy glow it self, providing a double action on skin to keep it fair and rosy with a patented formula. In L'Oreal Paris White Perfect range, it enhanced by both Melanin Vanish and Pink Tourmaline Gemstone. Melanin Vanish can help to dislodge melanin from different skin layers. A drop of this is 50x powerful than a drop of MelaninBlock, which found in previous formula, combating dark spots and uneven skin tone. While Pink Tourmaline Gemstone helps to micro circulate skin, giving it more rosy and radiant appearance. 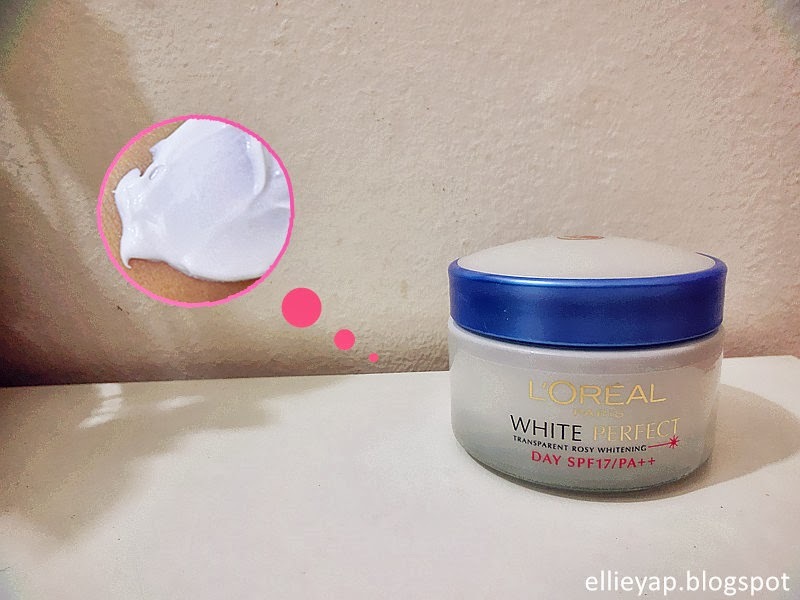 Skin immediate moisturized, smoother and fairer with both of this unique ingredients. 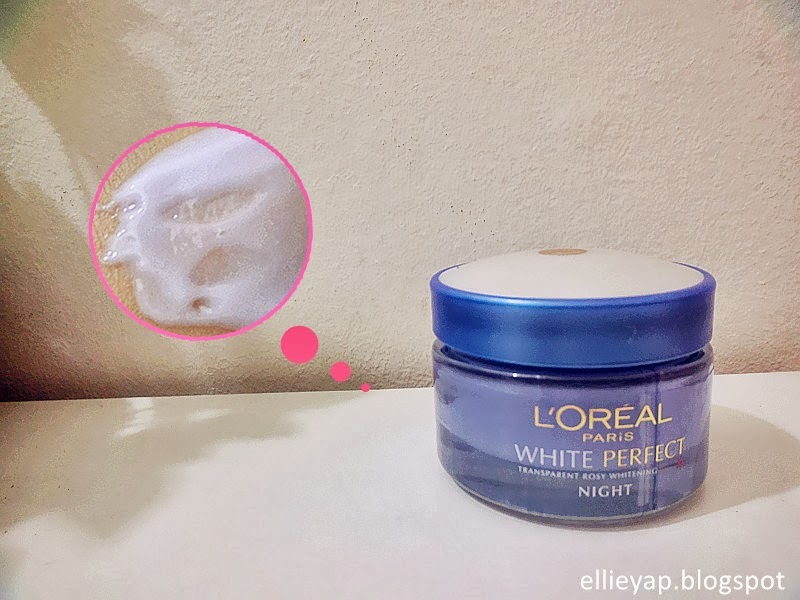 It has ultra soft and milky texture, leaving our skin sift and comfortable. Removing impurities, purifies and brighten our face complexion with a healthy glow. With its extra-light aqua texture, it is soft and fresh. Can be instantly absorbed and giving a sense of comfort. 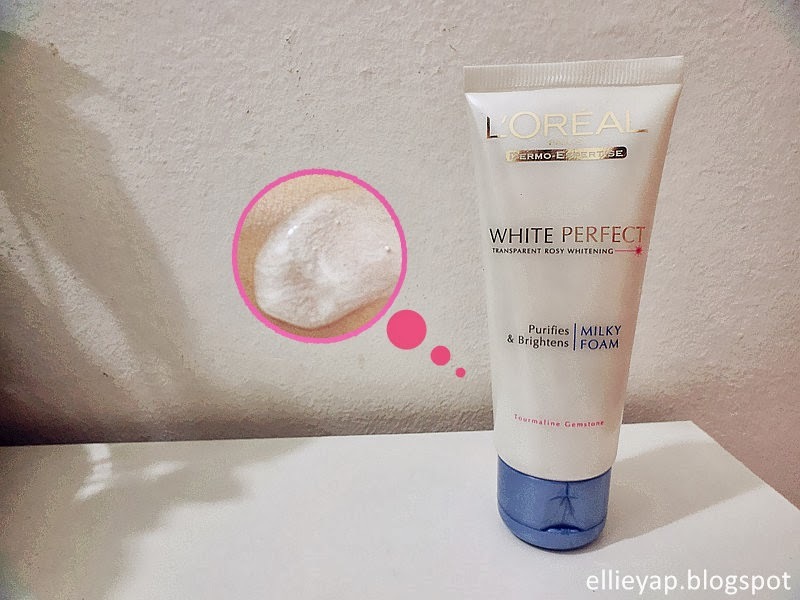 Meanwhile, provide moisture balance and stimulate natural desquamation with its enrichment of pro-exfoliatine. Creamy white essence and watery rosy essence that melt together, providing immediate moisturize effect and giving us a more radiant look! The double pump enables double action! 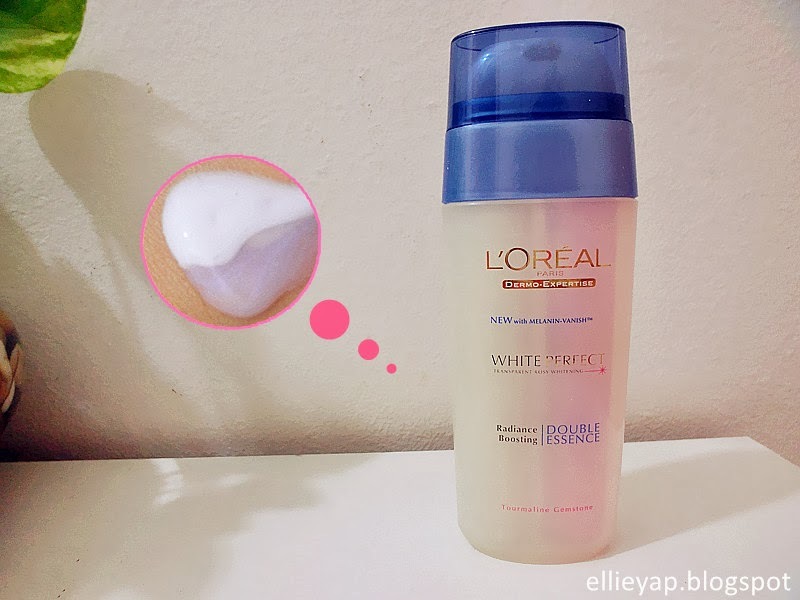 First action, it is skin brightening &anti spot action with its special ingredients Melanin essence, fades off dark spots and giving us a fairer skin. Second action, radiance boosting action with Tourmaline gemstone, stimulate skin microcirculation and giving us an inner rosy glow to shine through. The texture is very light and non greasy. It is easy to absorb, leaving our skin with no stickiness. Providing us brighter skin and long lasting hydration. Moreover, protect us from exposure to UV rays induced darkening and appearance of dark spots. Neutralize enzymes that synthesis melanin and unloading existing melanin, brighten our skin complexion. The velvet texture is slightly thinner than day cream, fresh and non greasy. It can be absorb quickly, boost our skin's rosy glow, sooth and reinforce the skin with antioxidant ingredient which is Vitamin E. During the night, skins get visibly fairer and spots fade out. L'Oreal Paris White Perfect Range are available in all stores! Do check them out! 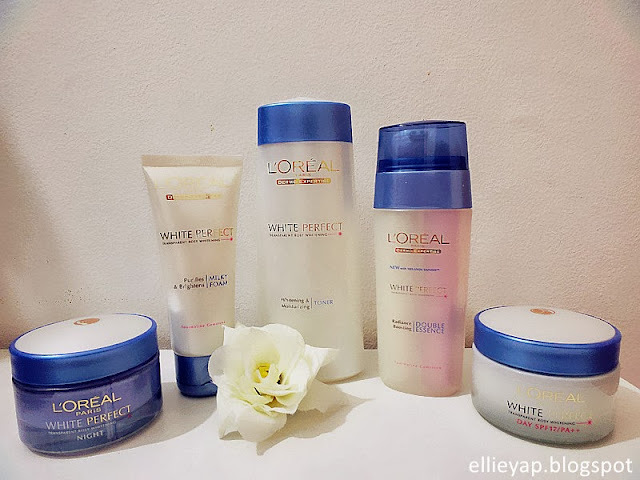 For more information, visit www.lorealparis.com.my . Chilling by the pool with Hedkandi!